Didn’t I play this before? Kyrat/​Rook Islands is a wonderful country/​archipelago, in the sense that it’s got beautiful nature, wild beasts to hunt and skin for upgrades, and neatly color‐​coded plants to collect for making magic potions syringes. Otherwise, it’s complete and utter chaos. It’s ruled by a half‐​mad despot named Pagan Min/​Vaas, and you have to work together with the Golden Path/​Rakyat, guerilla‐​style, to take back the land piece by piece. You do this by hacking/​activating radio towers, which gets rid of that pesky fog on your map screen, and by liberating outposts (which you should try to do silently so as to not trigger enemy alarms and reinforcements – unless you disable the alarms first), which provides you with fast‐​travel points across the map. An unliberated outpost? We can’t have that, can we? Ready, set, LIBERATE! When you’re not radio‐​towering or outposting, you traverse the land using a variety of vehicles, collecting an insane amount of more or less pointless stuff just because doing so removes icons on your map (granted, Lost Letters/​Letters of the Lost do contain some backstory for those really invested in the world). You can perform several kinds of side missions over and over again with slight variations (such as eliminating this important guy – he’s got a YELLOW icon over his head, for crying out loud – with exactly this or that weapon, or you fail, because you didn’t follow the instructions). You level up by completing quests and killing enemies, preferably in skillful or interesting way, and invest your hard‐​earned XP in offensive or defensive skills. As you’re nearing the end of the story missions, you get to press a proverbial button and choose which ending you want. See? The formula is exactly the same, so much so that I’m surprised Ubisoft got away with it. 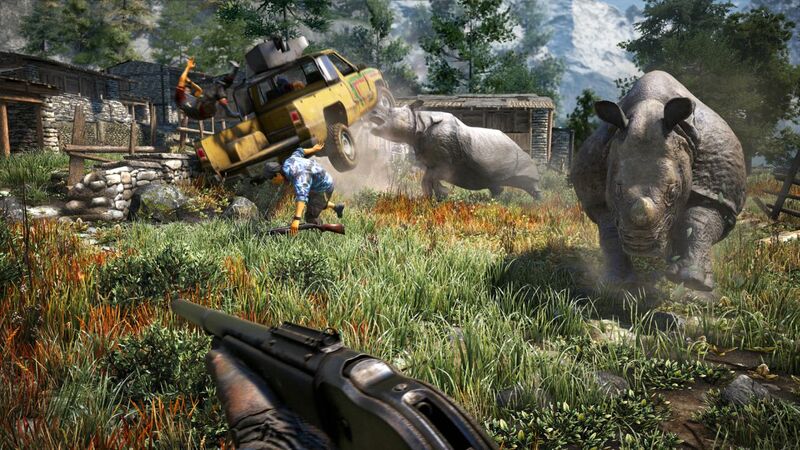 Not that Far Cry 4 is a bad game, it’s just that it’s exactly the same as its predecessor. Which, admittedly, is a good thing if you really, really loved Far Cry 3. I didn’t. I enjoyed it, but it was a far cry from unconditional love. Given the similarities, it should come as no surprise that Far Cry 4 suffers from much the same shortcomings as its predecessor. Such as glaring plot holes. I’m not talking about incoherent and illogical events (though there’s that, too). I’m talking about going to a waypoint or mission marker on the map just because it’s there. I can live with having to do some suspension of disbelief, but it would be nice to at least have a cursory motivation for all my quest‐​related actions. Like its predecessor, Far Cry 4 is an utter nightmare for the time‐​starved and slightly disinterested completionist (i.e., me). The map screen shows (assuming you purchased the respective maps) hundreds of treasure chests you press E to open, 20 backstory letters you press E to pick up, 20 backstory journals you press E to pick up, 40 prayer wheels you press E to spin (because reasons), 55 masks you press E (or shoot!) to destroy (because they’re the calling card of a deranged killer and Goddess help us all if the calling cards are left in place), and no less than 150 propaganda posters you press E to tear down. 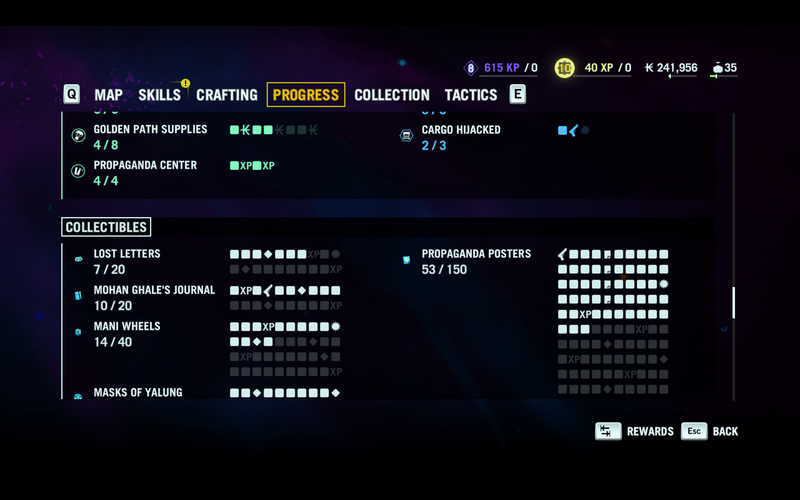 The game even has a progress screen where every single collectible has its own little box which gets ticked off as you collect it, similar to the one in Far Cry 3. Well if that doesn’t get your inner completionist drooling, nothing will. Granted, this progress screen also shows exactly how many collectibles of this and that type you have to collect to get certain kinds of rewards, like a new weapon, lots of Rupees or a healthy portion of XP, which makes it easier to choose what you actually want to collect. The map screen also helps out in this regard, by allowing you to filter which kinds of icons (quests/​events/​collectibles) you want to show. When I didn’t want to collect any more Lost Letters because I had the weapons I needed and because who gives a damn about the extended story in this game, I just switched off those icons on the map, and lo and behold, the world was a better place. Far Cry 4 was even kind enough to remember this between sessions. Still, for a completionist like me, that amounts to little less than covering my eyes and pretending you don’t exist when you’re standing right in front of me. Which somewhat soured my experience with the game, and which is part of the reason this text may be slightly negatively biased. If you’re an experienced FPS player, the game is probably a bit on the easy side. I know I’ve briefly mentioned that I love silenced sniper rifles in any game, because c’mon, it’s a silenced sniper rifle. But talk about unbalancing the game. There’s a plethora of weapons in Far Cry 4, but my unbeatable combo of silenced sniper rifle, silenced assault rifle, rocket launcher (unfortunately not silenced), and one‐​handed grenade launcher (gotta have a sidearm to fire from vehicles) stayed with me from around 20% into the game all the way until the end. Another thing that unbalances the game is the fact that you can get a syringe (i.e., magical potion) early in the game that lets you see enemies through walls at quite a distance, and that tags them for you (which you would otherwise have to aim at each enemy with a weapon or your camera to do, rewarding the observant and patient player), allowing you to see who’s a sniper and who’s a heavy (well, you don’t really need an icon for the latter) and making them visible even after the syringe has wore off. The result is that you go into hostile territory with perfect knowledge of the situation and can silently take out all your enemies one by one with the rest being none the wiser as to what’s happening. Add to this the dumb‐​as‐​heck AI, often just standing in the open wondering if it was a sniper or heart attack that killed his comrade now lying at his feet, and it’s easy to see that it’s not particularly hard getting rid of baddies in this game. It’s not really that difficult to be stealthy when you can see enemies through walls. Not that you have to kill everyone all the time, of course. There’s several missions which only require you to kill the commander of a squad, or sneak into a guarded cave, or whatever. Still, what with taking out everyone being as easy as it is, that’s often the simplest course of action. The result is that the game becomes rather monotonous after a while. My main gripe with the game, however, is its wildly unstable nature. I first tried playing it back in April, but it consistently crashed somewhere during the first mission, sending me back to the very start of the mission every time I restarted the game (apparently checkpoints are binned when you exit the game). Together with the fact that all cutscenes are unskippable, I simply couldn’t take it any longer and gave up. The reason for my picking it up again was a feeling that the crashing was related to the graphics settings, so I tried adjusting those. Sure enough, it crashed much less often if I disabled all of the Nvidia GameWorks features, such as awesome god rays, simulated fur, soft shadows, etc. That’s right – the game is all like “hey, y’all got Nvidia? Great! See how awesome I can be!” and it’s all crash and burn from there until you make the game the same as everyone else is getting. But even with the Nvidia options disabled, it crashed way too often, sending me back to the start of missions and forcing me to re‐​watch cutscenes and conversations. I usually never mention crashing or bugs in my reviews, but in Far Cry 4 this was so prominent (and so long after the game’s release, and with so many other users complaining of the same) that I simply cannot ignore it or assume it’s just me. With all of the above frustrations finally vented out, I can say that the game is not all that bad. It’s polished to the degree you would expect any triple‐​A game these days. There are a lot of interesting places, or rather landmarks, to visit, and you actually have do to some simplistic form of mountaineering and rappelling to get places, which is a nice touch from just running and driving around. Collectibles are often placed in relation to these landmarks, which depending on your focus means that either there’s actually a reason to go there besides just the view, or you actually get a nice view while you’re collecting stuff. Furthermore, the part of the content that’s truly unique is in fact rather enjoyable. I particularly enjoyed a series of quests where you travel to the alternate, mythical world of Shangri‐​La to save it from demons, complete with a proper boss fight at the end. There’s also a couple of druggies who infuse you with some seriously wacky substances and send you out on some really acid‐​trip, uh, trips throughout Kyrat, complete with with disco/​neon sky, trance‐​like music, floating mountains, glowing animals and whatnot. In general, there’s plenty to enjoy in Far Cry 4. It’s just padded everywhere with too much pointless, tempting, instant‐​gratification filler content, of which I had enough in Far Cry 3. Fortunately, the map filter makes it possible to at least pretend much of the filler content doesn’t exist. I’d really like to see this feature in other “collectathon” open‐​world games (though preferably I’d have them not be filled with that many collectibles in the first place). 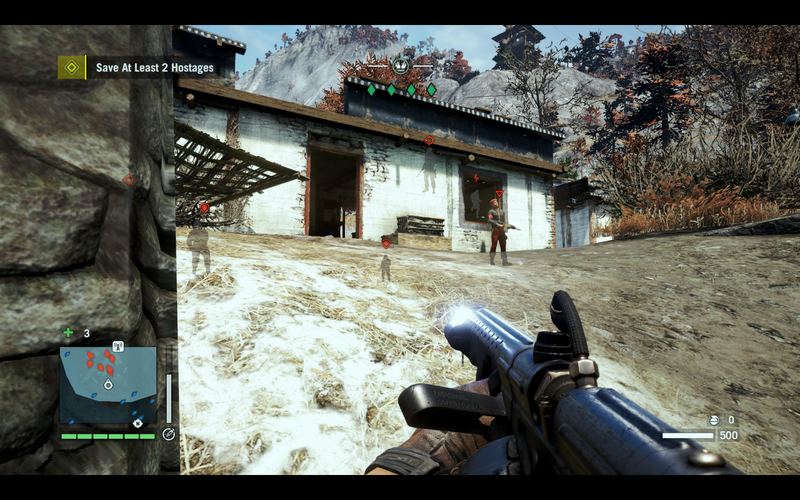 Far Cry 4 seems exactly like what Far Cry 3 would have been if we had turned back time and thrown the dice again. It’s fun, sure, but I’m annoyed by all the pointless filler content Ubisoft uses in all their sandbox games (*cough* Assassin’s Creed) to artificially extend playing times (and customer buy‐​in, I suppose, leading to increased DLC sales). I get the sense that Far Cry 4 doesn’t respect my time, and I’m growing increasingly disdainful of things that don’t respect my time. So take this “review” for what it is – a subjective opinion from a grumpy, time‐​starved gamer who’s realized he can’t be a completionist all his life. 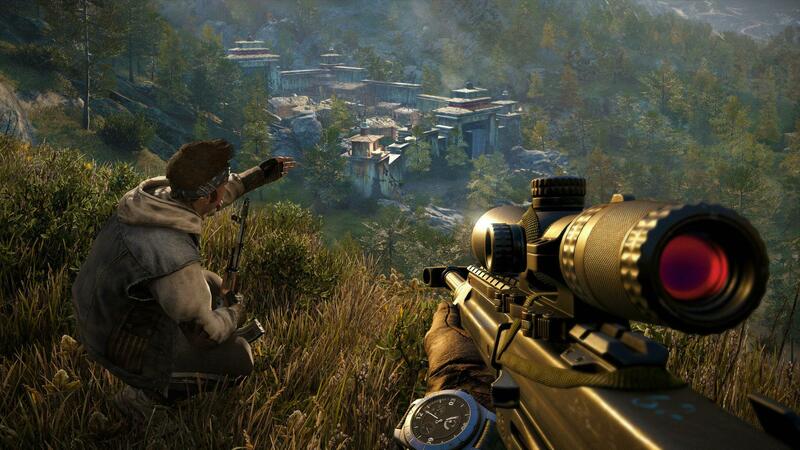 Far Cry 4 is a game for those who liked Far Cry 3 and wished there was a Far Cry 3 2. Beware if you’re a completionist.